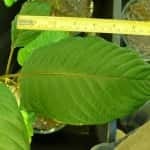 When you’re looking for the strongest kratom, you’ll have to consider where it was grown, how it was harvested, and which preparation techniques were used. 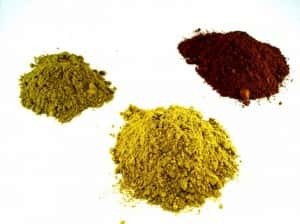 Most importantly, though, every kratom user should factor in the type of experience they’re looking for, as well as the unique tastes and tolerances of their own bodies. This personalized approach will help you get the most out of any herbal remedy you consume. That being said, some of the strongest kratom strains have proven results across all users. Here are some well-known favorites in every category. The leaves of the Mitragyna Speciosa tree, indigenous to the balmy climates of Southeast Asia, are loaded with potent natural compounds called alkaloids. These substances interact with the body to produce a range of beneficial and pleasurable effects, are what give kratom its potency and power. The best and most common way that people consume these alkaloids is by grinding the dried leaves into a powder and eating it. Of course, no two powders are alike. Plants from different regions are known to create different effects – while some are more relaxing, others are more energizing. There is one plant, originating in Thailand, which is known to be the best of both worlds. In fact, the multi-faceted power of the legendary Maeng Da strain is so powerful that it is not recommended for novice users. This, arguably the most potent kratom variety, is known to lead all other strains for excellent pain relief throughout the body. It can produce an intense sense of euphoria which wipes away worries, stresses, and anxieties. In lower dosages, Maeng Da Kratom is an invigorating, concentration-boosting energy powerhouse that many people use to bring extra vitality to a work day. 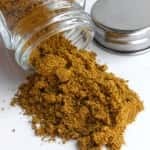 In larger doses, the herbal medicinal can possess strong sedative-like qualities, and is superb for managing severe chronic pain or easing acute panic attacks. Extraction is an ancient technique for concentrating the properties of any food or herb. By boiling kratom leaves over a long period of time, all moisture within the plant evaporates, leaving just an alkaloid-rich resin. 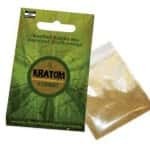 Some users enjoy kratom in this form because it packs a lot of power into a very small dose. By grinding the resin down into a fine powder, this extract may be added to other powders to enhance their power. What is the maximum concentration of any extraction? An extract’s power is measured by how much plant material is required to make every gram of product. For example, a rating of “15x” would indicate that 15 times as much plant matter was employed to make every gram of extract. Though you may sometimes see very large concentration ratings on commercial extracts, such as 50x or even 100x, these numbers are not accurate, or even physically possible. The largest true extracts are in the 15-20x range. Anything more than that is just hype and a suspect product. Furthermore, it is thought that the human body has an upper limit on how much extract can be processed at once. Much as with vitamin C’s upper limit of about 1000mg, kratom extracts over 20x are usually expelled as waste and are a waste of money. 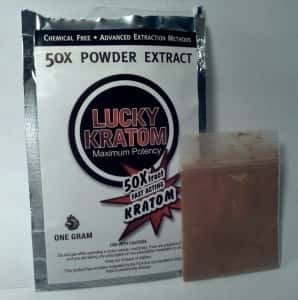 So, the most powerful kratom concentration can be found in products like this 15x Extract. When using very strong kratom products like these, it’s important to modify the dosage accordingly. Why? Kratom has a range of “sweet spot” dosages somewhere between the threshold dose, and the maximum amount that can be comfortably enjoyed. 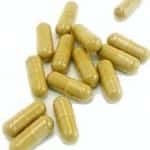 At the upper numbers, the sedative-like qualities of kratom will be so strong that most people simply won’t want to take any more. At the upper end of dosages, the risks of mild side effects like nausea also do increase. Interestingly, these factors are what prevent a kratom overdose from being possible. At the higher doses, continued use of the product will simply not be desirable. So, it behooves all users to stick within dosage guidelines for any given product, relative to the special needs of their own bodies. For strong, conventionally produced powders like Maeng Da, many people are completely satisfied with the effects that 1-3 grams will produce. While experienced users will sometimes take 5-6 grams for a strong, long-lasting effect, dosages over 10 grams are generally not necessary. Extracts boast even stronger efficacy at lower doses. Doses of .5 – 1 gram are excellent starting points for most people. Exceeding 3 grams of an extract is not recommended. Adding a .5 gram pinch of extract to another less intense powder is a great trick for boosting power without going overboard. When working with high-intensity herbal products, you can easily avoid tolerance risks with a few simple modifications to your routine. Do not take these extra-strength kratoms more than once a day, or more than three times a week. Try to vary the strain you use, and don’t increase a dosage that has been bringing you good results. If you sense a tolerance developing, simply take a break for a week or more, to allow your body to return to balance. Listen to the signals your body sends you, and adjust your kratom use accordingly. By keeping the lines of communication open between you and your own body, you can get the strongest kratom experience out of every product that you use.